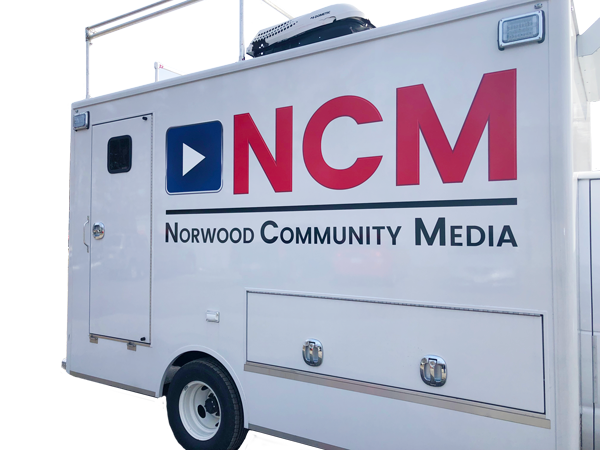 Norwood Community Media’s mobile broadcast vehicle was built in 2015 by Accelerated Media of Auburn, MA. The vehicle is our “studio on wheels” outfitted with state of the art technology. 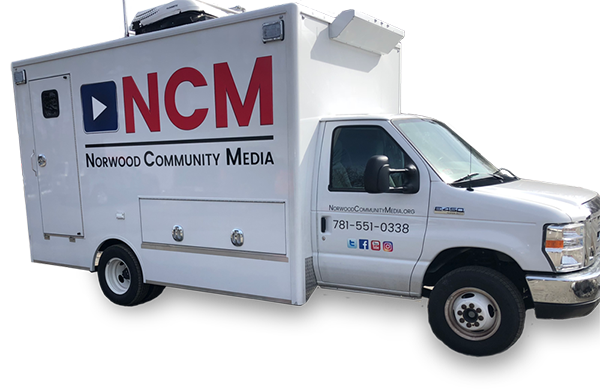 The truck is fully equipped with High Definition Equipment including; Broadcast Pix Granite 2000 Switcher, Broadcast Pix 4 Channel Revue Replay System, Rapid CG3 Graphics Program, Wireless and Wired microphone capability, SMPTE Fiber Camera Connection, SONY PXW-320 XD CAM. 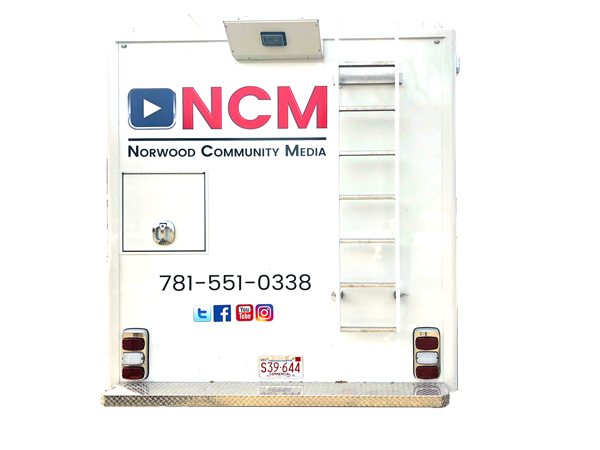 NCM’s mobile broadcast vehicle travels around town covering events, parades, sporting events, NCM on the Road, and much more!